has been an incorporated club since March 15, 1965.
was located in the YMCA in Bethlehem, then Hellertown, then Easton. Nevertheless the BDSME has been around for over 50 years!! 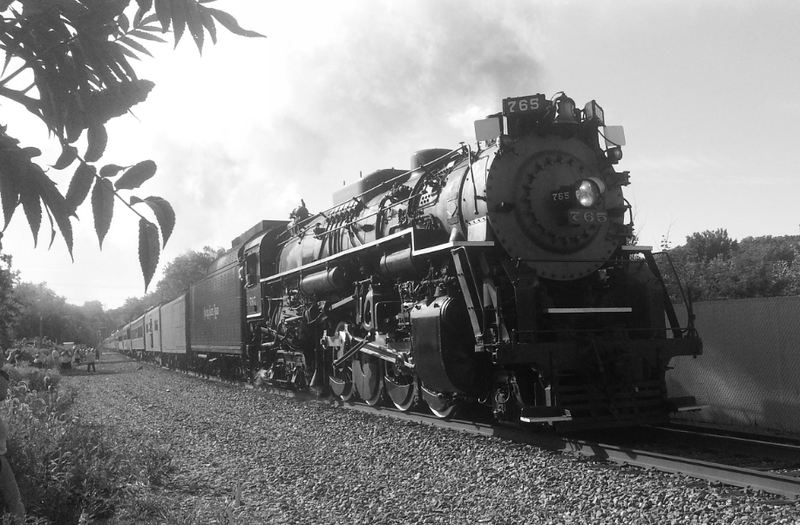 In August, 2015, 12 BDSME members rode Nickel Plate Road #765 from Allentown into the Lehigh Gorge and back. It was a great day for steam in the Valley! The first floor 650 square foot layout features models of O, On30 and S scale steam trains from the glory days of railroading to the mighty diesel locomotives of today, including prototype sights and sounds. Operating semaphores and signals further enhance the display. Visitors can even operate specific accessories. 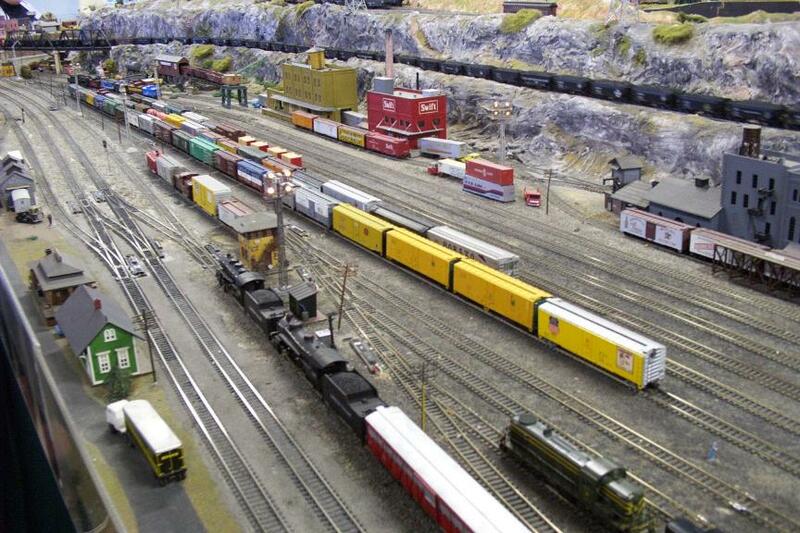 Why not drop by on a Tuesday evening and join in the fun of Model Railroading? We meet Tuesday evenings at 7:30p.m. The Public is always welcome. The first Tuesday of each month is a business meeting. The other Tuesdays are either work or operating sessions. Membership in our Society is open to all persons with an interest in model railroading. Memberships are available starting at $15.00 a year. For more information, click on the links below, drop by on a Tuesday evening or send us some email. We would love to hear from you. Incorporated as a nonprofit organization in March, 1965, the Black Diamond Society of Model Engineers was formed from the nucleus of previous model railroad clubs in the area dating to 1948. Our membership has many vocations but as rail enthusiasts, our common bond is the flanged wheel on the steel rail. The Society's objectives are to promote cooperation, fellowship and understanding to persons who are interested in Model Railroading, obtain facilities for meetings, discussions, exchange of information, construction and operation of model railroads. We celebrate the anniversary of our incorporation with a Charter Night dinner each April, enjoy the fellowship of other hobbyists at our Model Railroader Night and hold an Open House on scheduled dates each December through February. Visits to individual and club layouts are slated throughout the year. Day trips to Tourist railroads, Trolley operations and Rail museums are arranged as opportunities arise. Our miniature world of railroads include trolley cars, turn-of-the-century logging railroads, freight yards, roundhouse operations, passenger stations, farms, villages, coal mines, tourist railroads, small town hi-jinks and more. 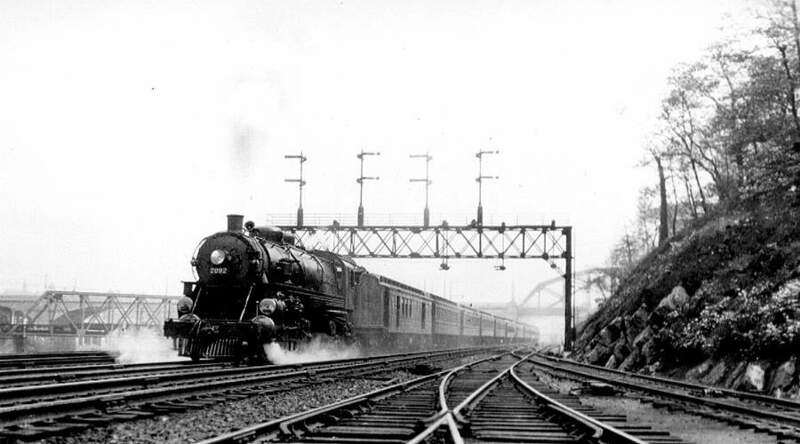 Several trains are operated simultaneously. They rumble across bridges, disappear into tunnels and glide around sweeping curves enroute to their destinations. Trains are controlled by their "Engineers" while the overall operation is under the watchful eye of the "Trainmaster". Switch engines busily sort cars from incoming freight manifests and ready other trains for departures. Other crews work the diesel engine terminal and the steam engine roundhouse with it's accompanying turntable. Lean down to track level, gaze down the right of way and enjoy the fun and satisfaction of Model Railroading. Associate Membership (non-voting) applicants must be a minimum of 14 years old and require personal visits to the Club before applying. The annual dues are $25.00 per year. Senior Membership applicants must be a minimum of 18 years old and first serve as Associates for a probationary period and requires personal visits to the Club. Senior Membership annual dues are $60.00 per year. There is a one-time initiation fee of $50.00 assessed upon approval for membership. Only Senior members have voting privileges or can hold office. Friends and Associates are invited to bring their equipment on operating night, but must operate initially under the supervision of a Senior member as time and circumstances permit. We invite persons who are interested in building, maintaining and operating model railroads to visit us and check out our layouts and facilities. For membership information, click here. The first floor display has been completely rebuilt to cover over 600 square feet since teardown of the prior layout in 2009. The benfits of the rebuild include the utilization of the latest digital model railroad control systems to add more flexibility in train operations. The second floor HO scale 800 square foot layout is designed for multi-train operations. Full utilization of both layouts require several operators. 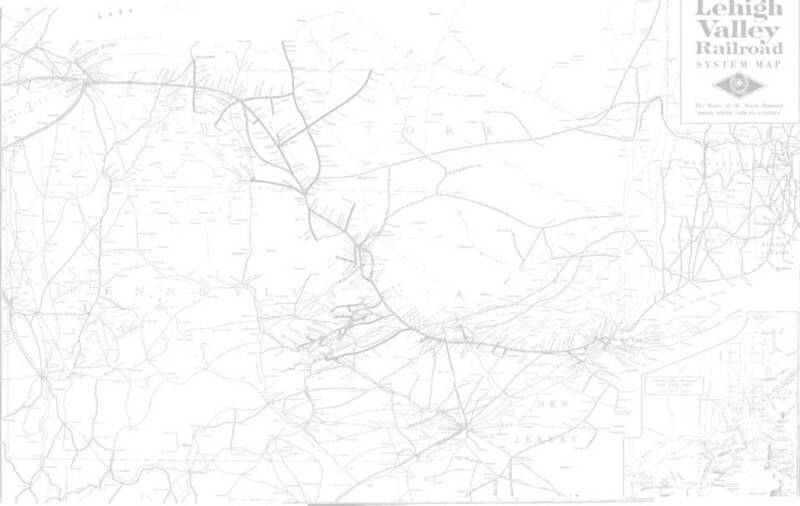 During our operating sessions, we simulate day-to-day operations of prototype railroads. At our annual Open House sessions, held December through February, visitors enjoy the "action" wherein we keep the maximum number of trains running. There are also operating trackside accessories which enhance the train operations. We look forward to seeing you . . . All Aboard!